A new week, a fresh set of guests. Up today is the lovely Angela of Fixing it Fancy. She and her husband are renovating a Wisconsin bungalow and offered to share her guest room with us. My husband Shawn and I bought a home in historic Hudson, Wisconsin only a few months ago. The architecture of the house is fantastic and the outside garden areas are amazing. However, the previous owners had a love for wood paneling and wallpaper; literally not one surface was left untouched. Immediately we started renovating our new kitchen; it’s the heart of the home, right? Afterwards, we intended to tackle our bedroom/walk-in closet but after learning some close friends were going to stay with us for a few days, our priorities were quickly rearranged; we don’t mind living amongst bad decorating and construction materials, but that doesn’t mean our guests will. That said, the guestroom makeover was next on the list. To find out more about these items, click on over to my blog. The overall look we’re going for in our new home is light and airy, almost beach-cottage-like. However, it’s important that the bedrooms feel inviting and cozy. We chose Dutchboy’s Colonial Cobblestone for the walls, which is a middle-gray tone with a warm touch of brown mixed in. The ceilings are white to balance the walnut-colored laminate wood flooring we installed. We started the renovation by tearing down the wallpaper. This allowed all those little, sticky scraps to cling to our soon-to-be removed carpet. The old trim came out next followed by the flooring. With a completely blank canvas, we painted the walls and painted the louvered-style doors with a paint sprayer. Before we could pop the trim back in place, the flooring needed to be clicked in. With all that out of the way, the best part was left; decorating! No doubt, it’s a dramatic difference. We had the room finished in three weeks and by repurposing as many items as possible, we renovated this room at a bargain price. Oh, and side note, our guests were very pleased. What a transformation - hard to believe that is the same space. Im loving that wall color and that blue door just makes such a beautiful detail! Thanks so much Angela! Please show her some love with a visit to her place. Hope you've enjoyed the guest bloggers so far... some more great entries to come. Love the color of the walls! So refreshing! WOW, it's not like you didn't have any challenges...the carpet, the wallpaper, and then even the angles of the walls. Wonderful transformation, have you had an issue with guests wanting to stay a bit too long?! Such an amazing difference! I love the wall color you guys picked and the door turned out so pretty! Funny, I'm not normally a fan of gray paint, but love how it looks in this room. Such a pretty transformation! I love the change! Esp that blue door/mirror! love the color on the walls, do you mind sharing the color or the formula? So serene and glamorous! I absolutely love what she did with the door! It has so many functions now. The paint color with the white wood looks fantastic too. What a beautiful makevoer- I would feel very comfortable and cozy there if I was a guest! Looks awesome! I love the savaged door/mirror idea!! Can you share the robin egg paint color? And where did you get your bed? AMAZING. What a transformation. I'm beyond impressed. Oh. My. God! That is quite a transformation! Those floors look amazing in the space with all of the lighter accents. Really inspirational post, and just what I needed to see today! We're think of buying a small farm--great schools, gorgeous views, best price we'll ever find in the area--but the house needs work and it scares me! I can do this! Amazing! I love that turquoise door! I love it. That looks great. where did you find that chandelier? or did i miss that? beautiful, and not too much! i also like the blue-ish pillow on the bed for a hint of color. That is an amazing transformation! I love the color palette and the floors look just gorgeous. Congratulations on a job well done!  Thanks, Mrs. Limestone, for having me. I'm truly honored to be a guest blogger! Gorgeous makeover. I love the paint color and the floors! i love the floors..thanks for this post mrs limestone. WOW - gorgeous! Love the turquoise door. Totally love the color pallette. Fantastic makeover. Amazing renovation! Love all the whites, blues and grays! Wow that's one of the nicest transformations I've seen!!! I'm heading over to your blog now. love, love, love the mirror in the blue door! I love everything about this blog. except for the frog switch its not compatible with the wall. The one i loved most is the window in the middle of 2 closets i like its concept of a compartment under it. The house is old school but has great potential. Am an avid follower of this site until I saw the political agenda at the top of the page. Very disappointed ... keeps me from sharing ideas and continuing to subscribe.